Should Ireland listen to its public intellectuals? Are they "overpaid, indolent and selfish"? There has been a good deal of discussion in Ireland recently about academics. A piece in The Irish Times in March by Dr. Paul Mooney, former president of the National College of Ireland, called for far-reaching reform of Irish universities and alleged that academic staff are not sufficiently challenged and/or do not work hard enough. 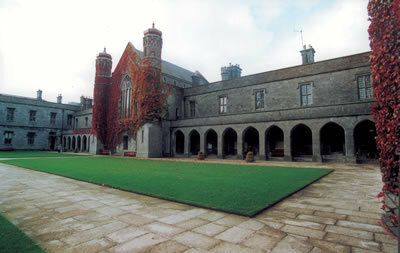 Dr. Mooney’s screed provoked a strong backlash from a broad cross section of Irish academics. The piece, however, reflects a negative attitude that is prevalent in this country. The attitude can be summarized roughly as follows. Academics are overpaid, indolent and selfish. They do not live in the “real world.” They exist in some sort of parallel universe and don’t have the foggiest notion of what life is like for the average person living in Ireland in 2012. I’ve worked as a legal academic for much of the time I’ve lived in Ireland – I will be returning to the National University of Ireland, Galway after a two year leave of absence in September – and I’ve heard all of these sentiments. These sentiments have been expressed to me both in good humor and in palpable anger. On the other hand, there is an undeniable respect for the brilliance and expertise of academics in Ireland. One need only look at the cadre of economists who have become household names over the past four years and, as public intellectuals, have developed dedicated followings as they comment on Ireland’s economic crisis. Still though, the often immediate, and maybe most easily accepted, way that politicians defend their refusal to accept a “celebrity economist’s” diagnosis is to cite the distinction between academic theory and practical reality. It is in this context that the Royal Irish Academy, which promotes and recognizes scholarship in the sciences and humanities, has published a collection of short essays, entitled Reflections on Crisis: The Role of the Public Intellectual. Edited by Professor Mary Corcoran of the National University of Ireland, Maynooth and Dr. Kevin Lalor of the Dublin Institute of Technology, it features provocative essays by five distinguished Irish academics. During the economic boom, these truisms were largely forgotten. As some of the authors observe, blind faith in market forces and an unquenchable thirst for more of everything took over. The government, commercial entities and individuals alike embraced the excesses of the Celtic Tiger. And those public intellectuals who questioned our collective behavior while the Celtic Tiger’s roar was still reverberating were ignored or, even worse, told exactly where to go and how to get there. Interestingly, these were not just economists; academics from a wide array of disciplines voiced accordingly nuanced reservations about what was happening. Herein lies the quandary about the space for public intellectuals in Ireland, and elsewhere for that matter. When there is no crisis, theirs tend to be voices that are not heard or considered by traditional media outlets and, in turn, by the general public. When a crisis occurs, their expertise is suddenly sought after and valued. President Bill Clinton’s impeachment trial, when a handful of American legal academics specializing in constitutional law became household names, is a classic case in point. Again, the voices of constitutional lawyers were heard in response to a crisis, not in order to avert one. Perhaps this is one lesson that can be learned from the rise and fall of Ireland’s Celtic Tiger economy. If policy makers had listened to the admonitions of public intellectuals when times were good, times mightn’t be as bad as they are now. Yet instead, they did the bidding of a relatively small number of people who were reaping extraordinary financial rewards. There is a strange irony that inheres in the reality of who most profoundly influenced government policy on the “island of saints and scholars” in the economic boom. This is not to say that public intellectuals have all the answers, or anything close to all the answers. A few do spout nonsense occasionally. But there is a wellspring of expertise, talent and, equally importantly, love for Ireland within its academic institutions and among its public intellectuals who typically make their living as academics. They have much to contribute to civic discourse and to the process of Ireland’s recovery. In this period of crisis, the media is giving public intellectuals a platform. Public intellectuals are now using blogs and social media to disseminate their opinions too. Both are increasingly powerful platforms, especially when and if public intellectuals are deemed irrelevant by traditional media outlets. Moreover, public intellectuals now have one of their own, Michael D. Higgins, in Áras an Uachtaráin. He promised that his would be a presidency of ideas above all else. This subtle riposte to the rudderless enabling of consumerism that drove government policy during the economic boom is welcome and potentially invigorating. That the Irish people chose to elect him President of Ireland by a significant margin suggests that a healthy majority agrees. In the end, one can only hope that, in future, policy makers in Ireland will draw upon the rationalities that emanate from the marketplace of ideas to temper whatever irrationalities emanate from the global financial marketplace. The editors and authors of Reflections on Crisis: The Role of the Public Intellectual make a compelling case for why they should.